The Big Gig Mussoorie back with its Summer edition | WhatsTheScene? Music festival The Big Gig is back with its summer edition this year at Landour, Mussoorie. 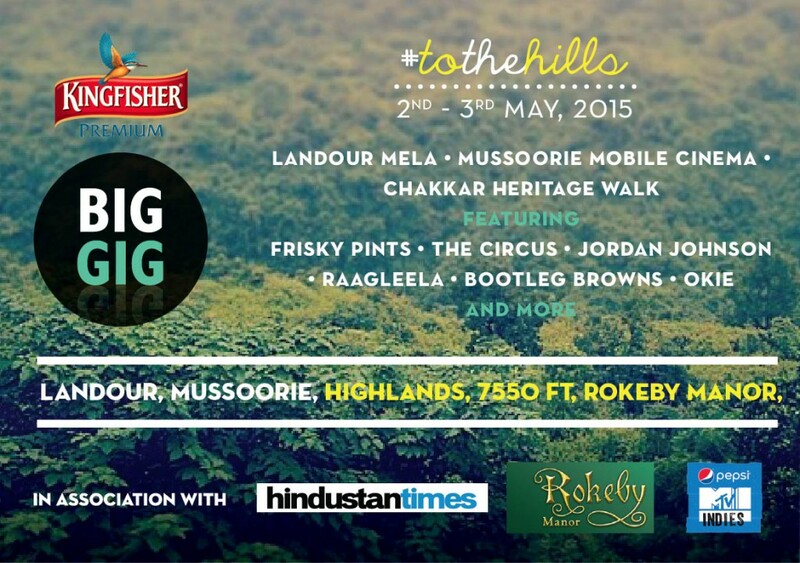 The festival is all set to happen at the picturesque Highlands at Rokeby Manor and will have two days of activities lined up to experience the Landour hillside community. The gates at Highlands, Rokeby Manor open at 3:00 pm on 3rd May 2015. The festival line-up includes Frisky Pints, The Circus, Raagleela, Jordan Johnson, and local acts from Mussoorie such as Bootleg Browns, The Okies, Woodstock School Jazz band and winners of the Big Gig Band Hunt summer edition 2015, Bhairavas.